Tankless water heater systems are growing in popularity. Many homeowners, much like yourself, are doing their research. These tankless systems, also known as on-demand or instantaneous water heaters, provide hot water only when you need it most. There is no energy loss like with a storage tank water heater, meaning you’ll save money. When you activate a faucet, you expect hot water quickly. And you’ll get it – a tankless model delivers. A tankless hot water heater allows direct access to hot water without the use of a bulky storage tank. When you turn on the tap, cold water moves directly through the pipe into the tankless unit. Then, either a gas burner or electric element heats the cold water. The result is a constant supply of hot water sent through the pipes of your home. You never have to wait for the supply to restock, because a tankless model does not use a storage tank. However, the output limits the flow rate. Generally, a tankless water heater offers a rate of 2–5 gallons per minute. Sometimes, a large unit is not enough to supply hot water to the entire house. This is especially the case when you have multiple hot water sources working at once, such as a shower, washing machine, or dishwasher. If your home uses 41 gallons or less of hot water per day, then a tankless water heater will save you 24–34% per month. It is more energy-efficient overall. For a home that uses over 86 gallons per day, you’ll save around 8–14% per month. These percentages directly translate to monthly savings for your home. Well, now you’ve had an opportunity to look at both the benefits and drawbacks of a tankless hot water heater system. You’re able to make a more informed purchase. A tankless model is a potentially wonderful investment, but it’s not the right option for every homeowner. If you have the money to invest in a tankless model, then absolutely, go ahead and install a tankless water heater. But if not, then consider waiting for a time. However, know that the energy efficiency will save you money in the long-run. Schedule expert tankless water heater services with Emergency Plumbing & Solar. Give us a call at 808-691-9309 today! 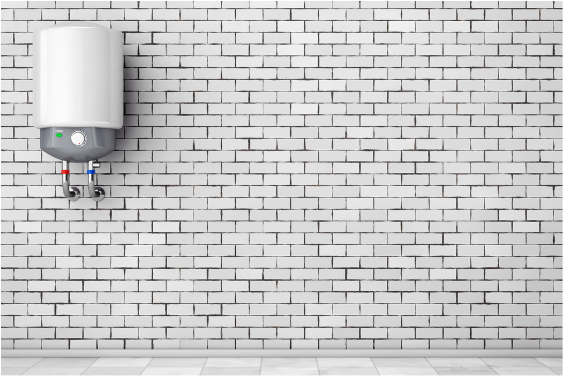 Should You Get a Tankless Water Heater? Overall rating: 5 out of 5 based on 10 reviews.